The post Oglala Lakota College Hosts 15th Annual Summer Artist Series appeared first on Tribal College Journal of American Indian Higher Education. On many school nights, after working shifts at a department store, Katrina Claw studied long and hard. Those study habits were borne out of her time on the Navajo reservation. 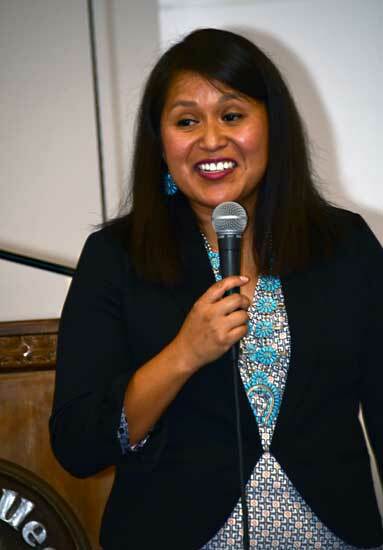 The post Geneticist, Former TCU Student, Speaks of Experience at Diné College appeared first on Tribal College Journal of American Indian Higher Education. The post Indian Leader Receives Nine Awards at the Native American Journalists Association 2018 Native Media Awards appeared first on Tribal College Journal of American Indian Higher Education. North Dakota alone is home to five TCU campuses, each connected to the others through the North Dakota Association of Tribal Colleges. The post Community Classrooms: Tribal Colleges Are Mainstay of Reservation Life appeared first on Tribal College Journal of American Indian Higher Education. Lakota, once suppressed by the boarding school system, is on the rise in western South Dakota. The post A Rebirth for the Lakota Language: Institute Hopes to Create a New Generation of Speakers appeared first on Tribal College Journal of American Indian Higher Education. On Monday, June 18, 2018, 18 candidates will convene in Crownpoint for the first Navajo Nation presidential forum of the 2018 political season. The forum will be open to the public at Navajo Technical University’s (NTU’s) Wellness Center and is sponsored by the Navajo Times and KTNN. The post Navajo Technical University to Host Navajo Nation Presidential Forum appeared first on Tribal College Journal of American Indian Higher Education. 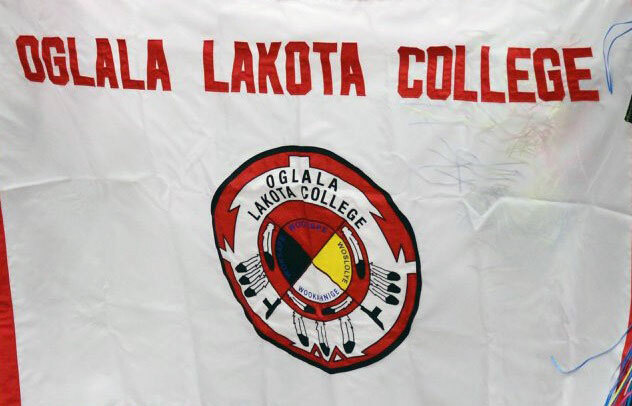 The post Oglala Lakota College to Celebrate its 45th Graduation Ceremony appeared first on Tribal College Journal of American Indian Higher Education. Tribal college librarians and their affiliates convened at Montana State University in Bozeman, Montana, the week of June 4 for the annual Tribal College Librarians Professional Development Institute (TCLI). The post Tribal College Librarians Share Resources and Ideas at Annual Institute appeared first on Tribal College Journal of American Indian Higher Education. It has been 150 years since Navajo leaders signed the Treaty of Bosque Redondo, which ended their peoples’ disastrous captivity at Hweeldi—the place of suffering—and enabled the Diné to return to their homeland in the Four Corners region. The post Diné Commemorate 150th Anniversary of the Treaty of Bosque Redondo appeared first on Tribal College Journal of American Indian Higher Education. RFK also visited the Haskell Indian Institute, now known as Haskell Indian Nations University. The post Presidential Campaigns appeared first on Tribal College Journal of American Indian Higher Education. Michelle Saboo (Bay Mills Indian Community) of Leech Lake Tribal College has been awarded the Aspen Presidential Fellowship for Community College Excellence, a leadership program aimed at preparing the next generation of community college presidents to transform institutions across the nation to help students be more successful both in college and in the workforce. The post Saboo Selected as 2018-2019 Aspen Presidential Fellowship For Community College Excellence appeared first on Tribal College Journal of American Indian Higher Education. President Sandra Boham of Salish Kootenai College, is pleased to announce the publication of a history of the first 34 years of Salish Kootenai College. The post Book on the the Founding History of Salish Kootenai College Released appeared first on Tribal College Journal of American Indian Higher Education. Students will explore local water ecosystems, learn about how satellites and more are used in research and weather forecasts and more. The post Leech Lake Tribal College Plans Earth Systems Summer Camp appeared first on Tribal College Journal of American Indian Higher Education. 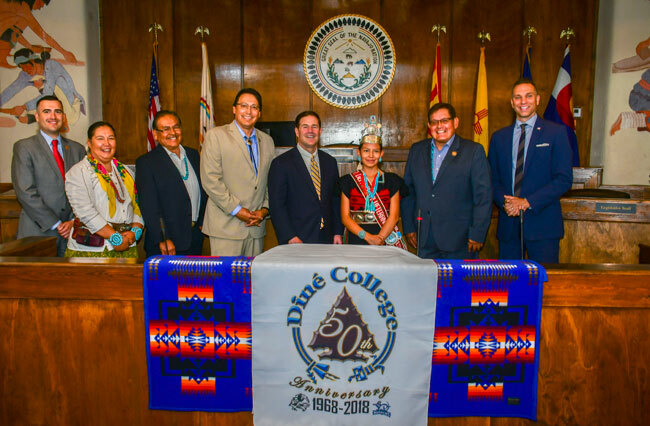 Arizona governor Doug Ducey signed into law several pieces of legislation June 1, including an agreement that extends funding for Diné College and Navajo Technical University (NTU) for the next 20 years. The post Arizona Governor Extends Funding for the Navajo Nation’s Tribal Colleges appeared first on Tribal College Journal of American Indian Higher Education. As previously announced, the Institute of American Indian Arts (IAIA) Cinematic Arts and Technology Department, in partnership with Duchy Parade Films, LLC, has put together a production plan for a contemporary feature film which will be filmed in New Mexico. The post IAIA Feature Film Production Adds Native Hope Media to the Project appeared first on Tribal College Journal of American Indian Higher Education. As we mark the 50th anniversary of his assassination, let us remember Robert F. Kennedy as a courageous champion of Indian people who put Native issues in the national spotlight before any other politician dared to do so. The post Robert Kennedy’s Indian Commitment appeared first on Tribal College Journal of American Indian Higher Education. Larry Anderson has handed out his last diploma during his last commencement as president of Fond du Lac Tribal and Community College in Cloquet. The post FDLTCC President Says Farewell appeared first on Tribal College Journal of American Indian Higher Education. Residents of 13 Wisconsin communities, including members of seven American Indian tribes, received academic degrees and technical diplomas in College of Menominee Nation ceremonies held on Saturday, May 26, in Keshena. The post College of Menominee Nation Graduates 39 State Residents appeared first on Tribal College Journal of American Indian Higher Education. A federal grant of $846,000 and a federal loan of $1,034,000 has been granted to United Tribes Technical College for the construction of a storm water system on the campus in Bismarck. The post Federal Money to Support Water Projects at UTTC in Bismarck appeared first on Tribal College Journal of American Indian Higher Education. Fond du Lac Tribal and Community College will honor retiring President Larry Anderson with a public reception at 11 a.m. on June 6 on the Fond du Lac Tribal and Community College campus in Cloquet. The post Reception Scheduled for Retiring FDLTCC President Larry Anderson appeared first on Tribal College Journal of American Indian Higher Education.